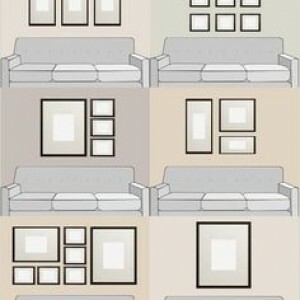 The weight of the frame that you are going to hang is important when it comes to sizing the hanger you should use. 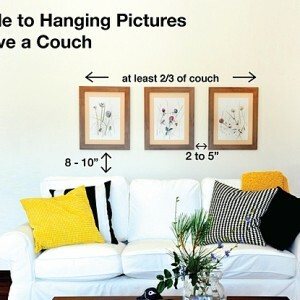 If you’re hanging a large frame, heavy painting, or a framed mirror, you’ll need to use heavier hardware. A good rule of thumb is to use a hanger that is 4 times the weight of the object. The standard horizontal hang is the most common hanging configuration which is a frame with a standard hanging wire running side to side. 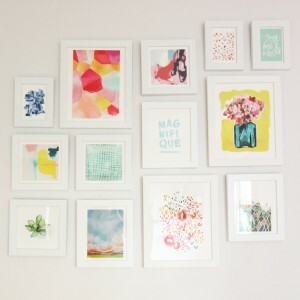 Take the frame and place it on the wall that you want to hang it. 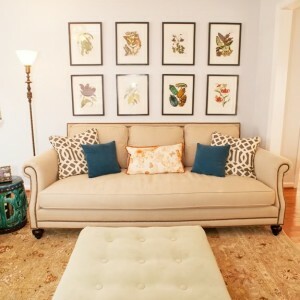 There isn’t a rule about how low or high to hang pictures but I suggest to not let the bottom of the frame hang below the centerline of the wall. How high you go beyond that depends on the size of the frame and your own preference. 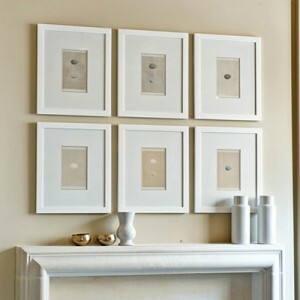 Once you decide on where to hang the frame, make a light pencil mark on the wall at the top and about the middle of the frame. Hook the end of a tape measure under the hanging wire on the back of the frame and pull it up. 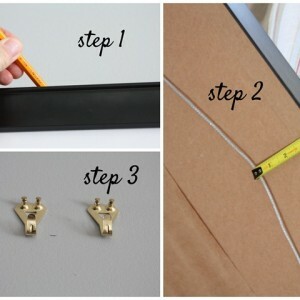 Measure from the wire to the top of the frame and write down the measurement. On the wall where you made your light pencil mark, measure down from that mark the distance you previously measured. Make another mark on the wall at this point, this is where the bottom of your hanger will go. Place the hanger against the wall so the bottom of the hook is at the second mark you made. When you have it in position, drive in the nail. Make sure that the nail goes through the hanger hole and into the wall at an angle. 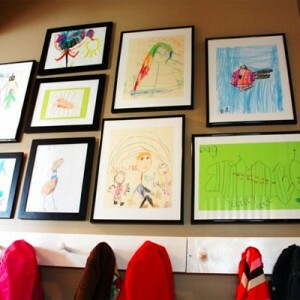 Now you are ready to put up your art pieces/paintings! Below are a few inspirational pictures for you to use as samples. If you need any questions, contact Studio 9.